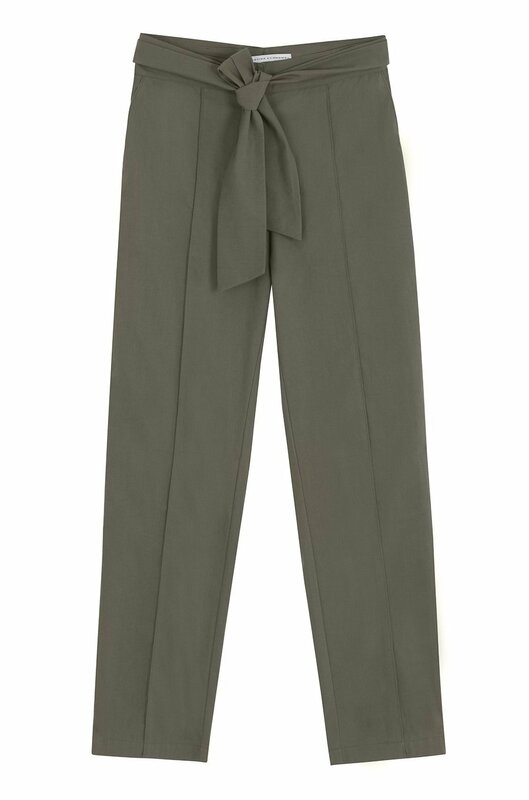 These high-rise pants are cut for a slim fit in a cropped length. They have a high fitting tied waist and side pockets. Keep it minimal and style it with our CROPPED TOP WITH ZIPPER.